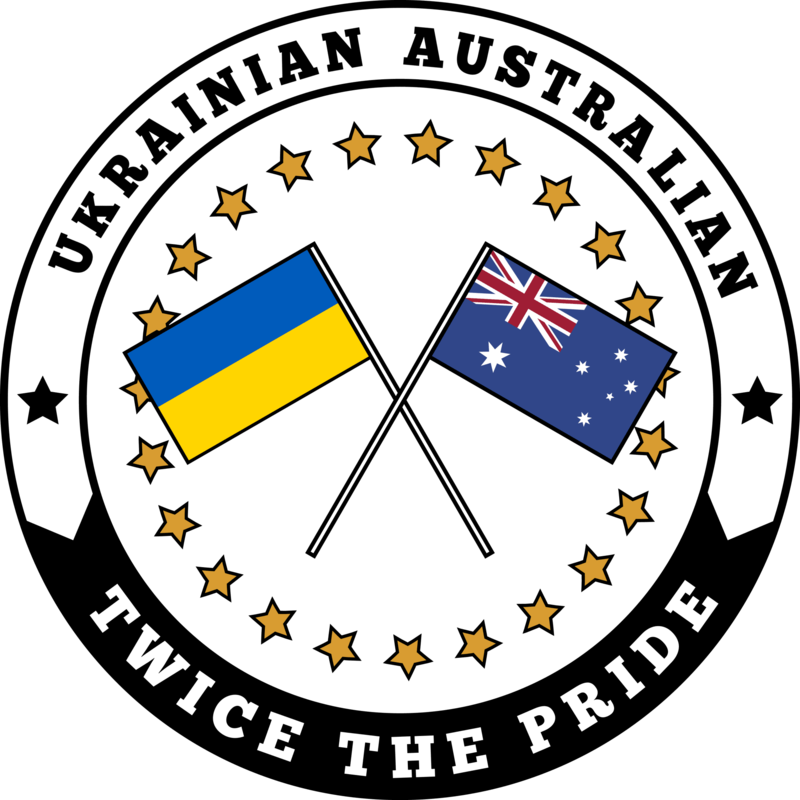 Здравствуйте ! 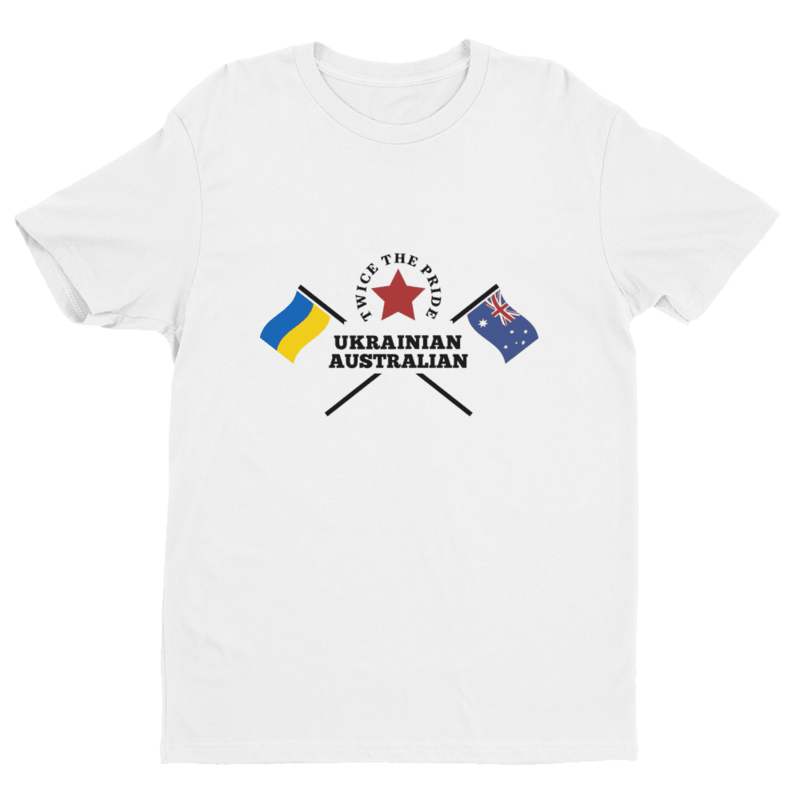 Welcome to our Ukrainian Australian range of products! 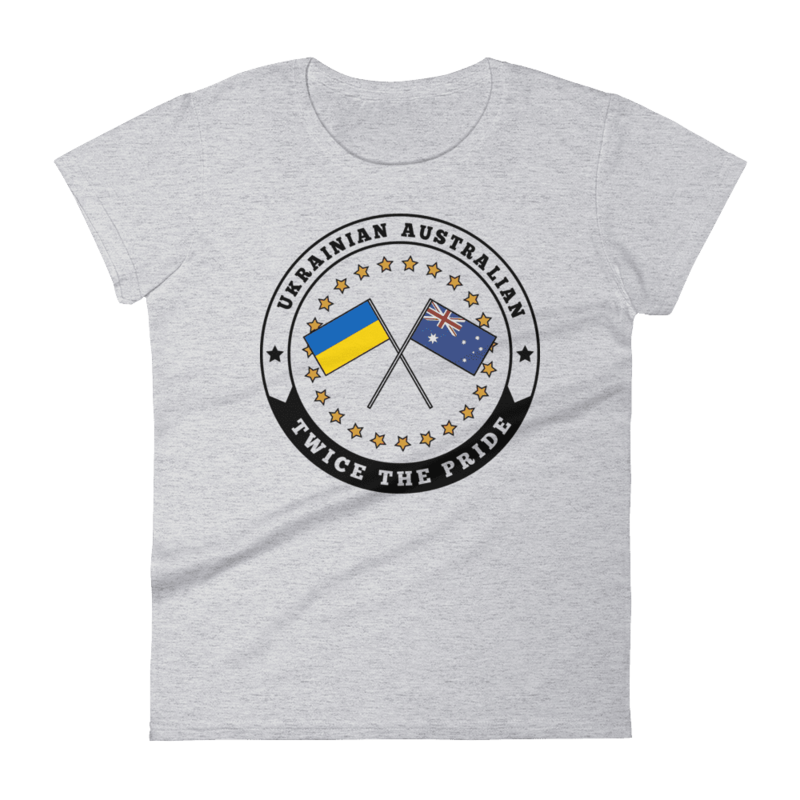 We are very proud that our designs allow you to celebrate what it means to be Ukrainian Australian and to show the world that you have ‘Twice the Pride’! 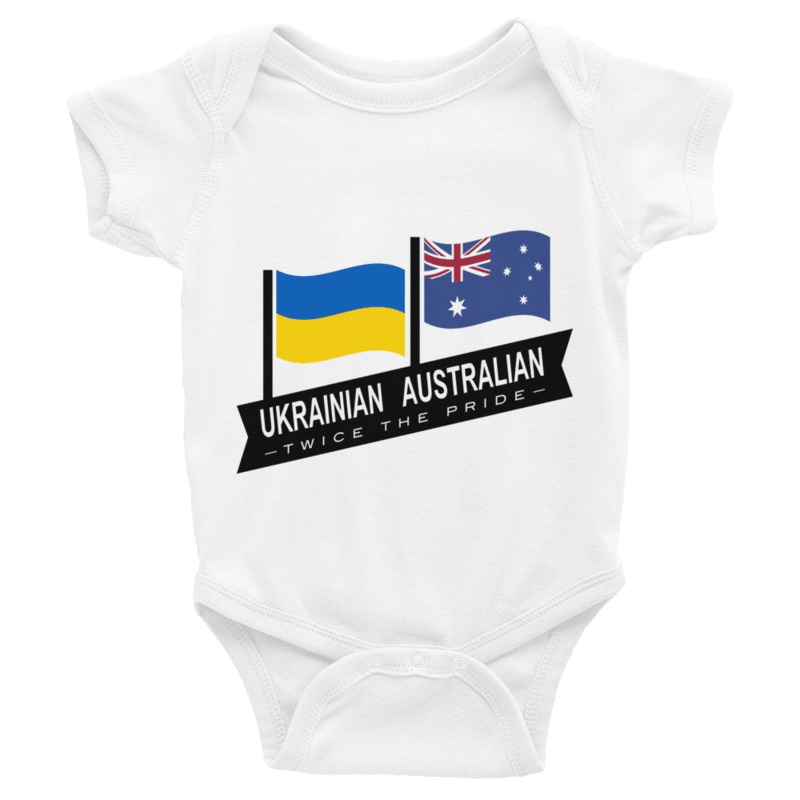 We are a ‘Dual Nationality’ family-run business, and we understand what it means to have ‘Twice the Pride’! 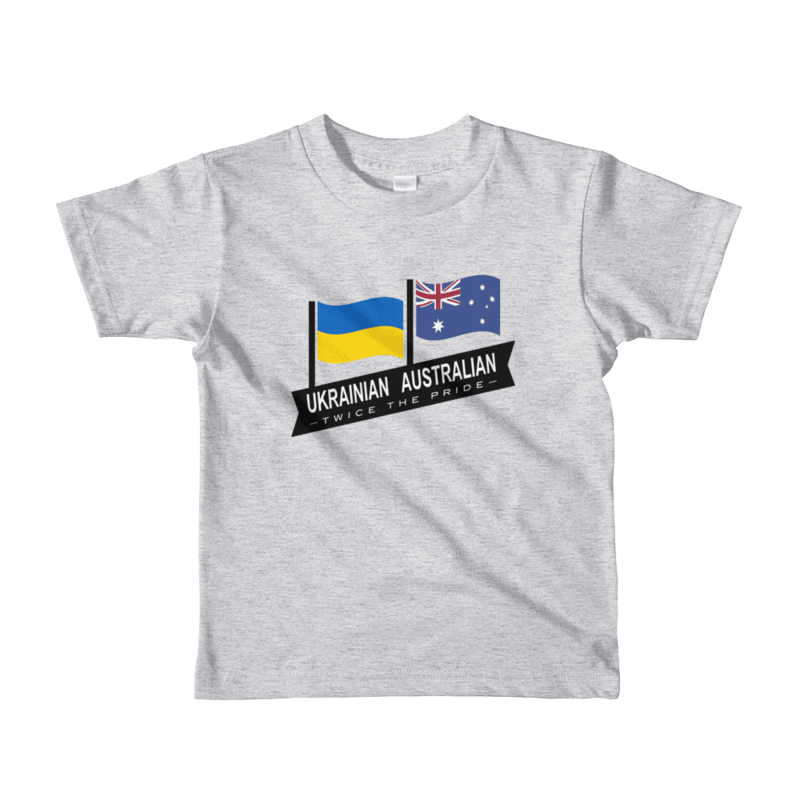 Note, most adult T-Shirts are available as either large centre print, or as a small chest print – you select as you are purchasing the product. We hope you enjoy our products as much as we have loved creating them! When you receive your products, we would be most grateful (truly!) if you could share photos on Facebook or Instagram and tag us with #dualnation #twicethepride. THANK YOU!! !